← New “Prufrock” pages starting tomorrow! 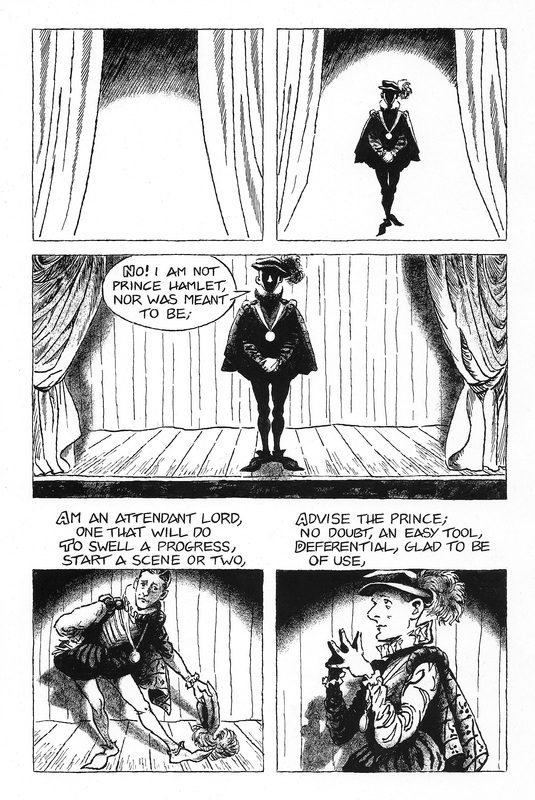 The next page of my comics adaptation of “The Love Song of J. Alfred Prufrock” by T. S. Eliot (click on image to enlarge): Next week: Advancing years, advancing trouser legs. This entry was posted in "The Love Song of J. Alfred Prufrock" by T.S. Eliot, comic book poetry, comics, Poetry, Poetry Comics and tagged curtains, prince hamlet, stage entrance, T. S. Eliot, the love song of j. alfred prufrock. Bookmark the permalink.